I’m really excited to announce that I’ll be releasing my debut book titled Shaping Up Culture in October this year! 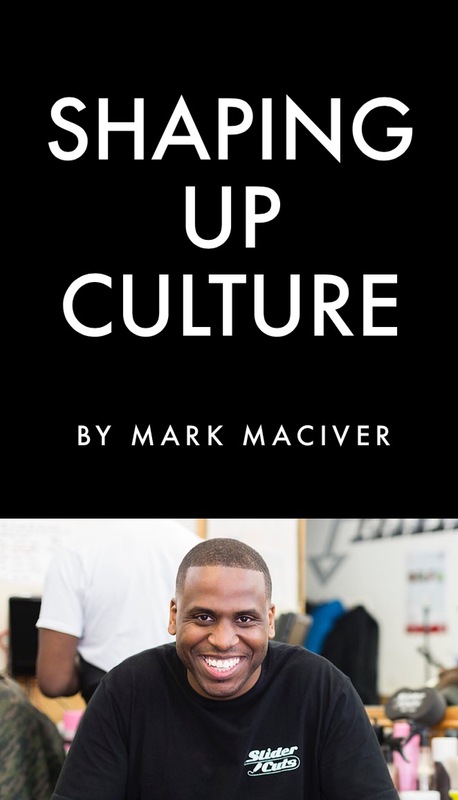 Building on my Shaping Up Culture series on my youtube and website, the book will be a collection of inspirational and practical how-to guides surrounding entrepreneurship, and is aimed at teenagers and young adults. It’ll be published by Knights Of, who have acquired world rights to it, and will be edited by Alex “Reads” Holmes, co-host of the podcast Mostly Lit. So often people from this community see a lack of options and end up getting involved in the wrong things, or getting involved in nothing. The purpose of Shaping Up Culture is to change the mindset of those in this position, and to create a guide showing them the opportunities and options they may not see. The book is available for pre-order now, so click here to grab your copy! The last year has been amazing for me. I feel like I’ve been blessed and I’m super grateful for the year I’ve had. Firstly, I built a team. I got a PA and a publicist. 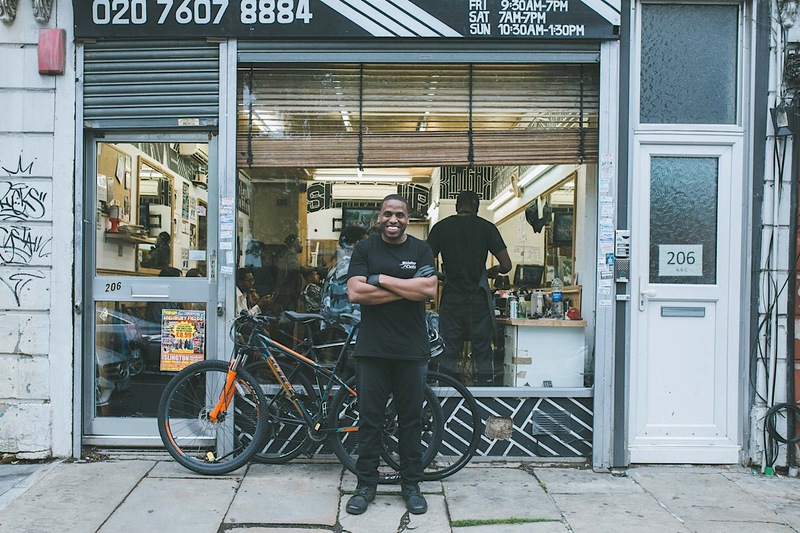 I’ve worked with numerous magazines including GQ, TimeOut, The Guardian, The Evening Standard, Huffington Post, Black Hair Magazine and Barber EVO. I featured on BBC 1Xtra, Radar Radio and in three Under Armour adverts, as well as the recent Nike advert and Facebook advert. 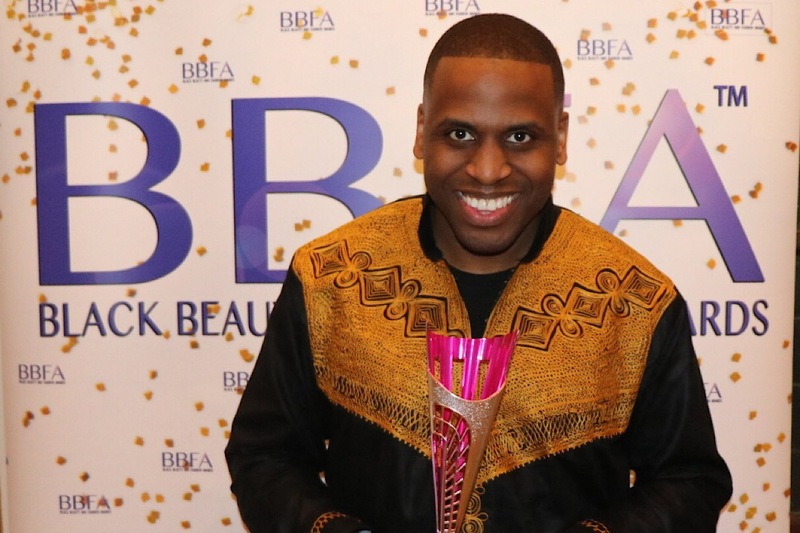 I also collaborated with WAHL and, to top it all off, I won the Barber Entrepreneur of the Year Award at the Black Beauty and Fashion Awards. All these things have been great for me, but they didn’t happen overnight. Everyone sees the result, but a lot of people don’t really see the process behind those great moments. They don’t see the rollercoaster ride that leads to the success, and all the ups and downs experienced before getting to that. I want people to really understand the process and what goes into it. I want people to understand that, when you’re on this journey to getting to where you want to be, it’s not smooth sailing, it’s not simple. The hardest work goes into the process. 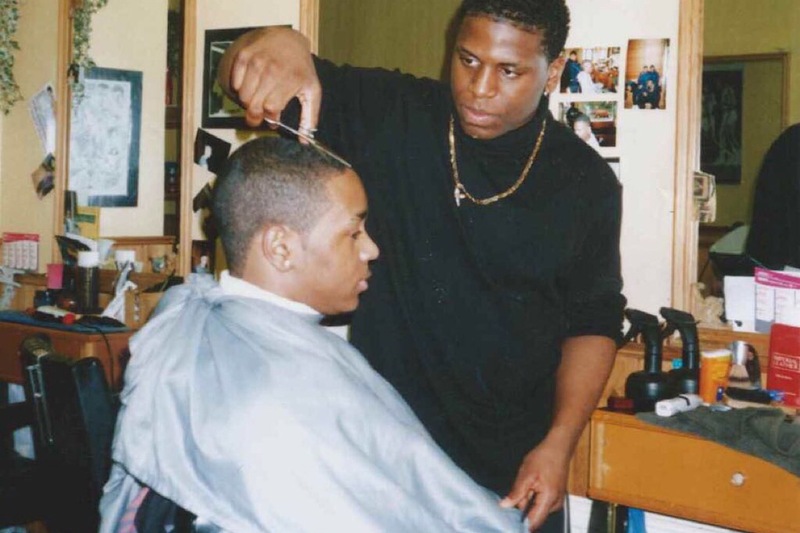 For me, the process started about 15 and a half years ago when I started my professional barbering career. When you look at the last year I’ve had, you cannot take away that first year when I was cutting no hair. When I was coming in and sometimes only cutting 1 person in 10 hours. Then coming in and doing the same thing the next day, and the day after that, and the day after that. That’s all part of the process, and those are the parts people don’t see or, sometimes, acknowledge. When I started cutting hair at like 13/14 years old, it was a hobby. As I got good at it, I would go to friends’ houses, or they would come to mine, and I’d cut their hair for free. People would come to me when they couldn’t make it to the barbershop. When I turned 18, I got an unofficial internship at D&L’s Barbershop. At the time, I was also at college. I might start college at 12pm so I’d come to the shop at 10am, leave at 11.30am to go to college, leave college about 3 or 4pm then come back to the shop and work until 6pm before going home. Then I’d do it all again the next day. I had no customers, but I would come in every week. I would be sitting around watching everyone else cutting hair, but I was always here whether I had 5 customers or none. I was trying to explain this to a young guy the other day who was saying the reason he always comes in late, goes home early or takes time off is because he hasn’t got any customers. I was explaining to him that he has to go through these things and just always be around. If he’s always around, he’ll always catch the customers that come in. If he cuts a customer and they like the haircut he gives them, they then become his client. If they come back, whether it be every week or every month, his wage for the year has gone up. His response was that, if he knew he was going to get customers he would come in early, but that’s where the fault in his mindset lies. People who have this mindset want everything to be guaranteed. They’re not willing to risk anything. He told me I can come in early because I’m guaranteed to get customers, but he’s missing the fact that this is me 15 and a half years into my professional career. What about the times I was coming in early 14 years ago and had no customers? When I first started working at the shop, I worked 7 days a week. I remember it came to a point when Damon told me to choose a day to come in later and have a half day, so I started coming in between 12-2pm on Thursdays. But this is the side of things people don’t see. I was doing full time every day. After a few years I dropped it down and started doing 6 days then, when I got married 6 and a half years ago, I dropped it down to just working 5 days. I’m not telling anyone you need to work 7 days a week and do 12 – 14 hour shifts everyday but, when you look at where I’m at and the things that have come my way, don’t ignore the things I did to get here. This is what I was trying to explain to this youngster, and he said to me, but that was your day, we’re going to do it differently. You worked hard, we’re going to work smart. Now I agree with the idea of working smart, but you cannot negate the idea of working hard. To think you’re just going to have to work smart and never have to lift a finger or be tired is just lazy. It’s people who don’t want to work, so they just try to think of ways to create shortcuts. Another thing people need to understand about the process is that there are levels. I respected authority. I think this is really important for youngsters to understand. I feel like there’s a wave of young people who don’t respect authority. They don’t respect the people that are above them, and they don’t respect the people above them trying to help them. When I was younger, I respected the people above me. I respected Damon who was the manager of the shop and the senior barber so, when he asked me to come in early or stay later, I never questioned it. You have to realise, these guys are helping you. If I ask you to cut someone’s hair and you’re going to get paid, how does that benefit me? I find that, with this wave of young people, they feel like everyone is against them. So if you ask them to do something they always want to know 1. what they’re getting out of it, 2. what you’re getting out of it, and 3. why they need to do it. There were so many things I did that I didn’t want to do. Even now, there are things I don’t like doing but still do. I hate the hassle that comes with doing events, but I do them because I enjoy the end result. Talking to people and cutting hair is great, but I don’t like setting up or having to clear up afterwards. But it’s all part of the process. You’re going to have to do things you don’t enjoy because it’s work, and work isn’t always fun. You won’t find enjoyment in everything you do, but you will find enjoyment in the result of the things you’ve done. With everything I’ve done, and everything I’m doing, there’s a lot of work behind it. Someone asked me how I stay so focused and what keeps me going. My response was this: I have my eye on my goals and I’m driven by those goals. I also don’t like letting people down. If I say I’m going to meet you here at 6.00am, I’m not going against that just because I’m tired. I believe that if you agree to something, stick to it. It’s important to know and understand why you’re doing what you’re doing because, when hard times come, you’ll need to go back to why you’re doing this. That’ll be the fuel that keeps your vehicle (you) going towards your destination (your goal). There’s failure in success, that’s just life, but you have to keep putting yourself out there and leave yourself open for opportunities that may come your way. The process can be long, the process can be hard, but that’s why it’s worth the end result. Denzel said it in a speech recently: ‘if it was easy then everybody would do it. ‘And if it was easy and everybody was doing it, you’d need to do something harder to stand out from everybody else. In my career there have been so many ups and downs, things I’ve started and stopped. Money I’ve put into things and lost. So many things have failed but you only see the thing that worked. People say things like, I could’ve thought of that, I could’ve done that. And I say to them yeah you could’ve, but you never would’ve because you weren’t willing to fail which means you weren’t ready to succeed. And, if you’re not ready to fail, you’re not ready to succeed, because there is failure in success. Check out my vlogs on The Process on my Youtube channel. Happy New Year, guys! With it being the new year, it seems only right that this post be all about goals! With each new year, most people set new year resolutions which are, essentially, goals. 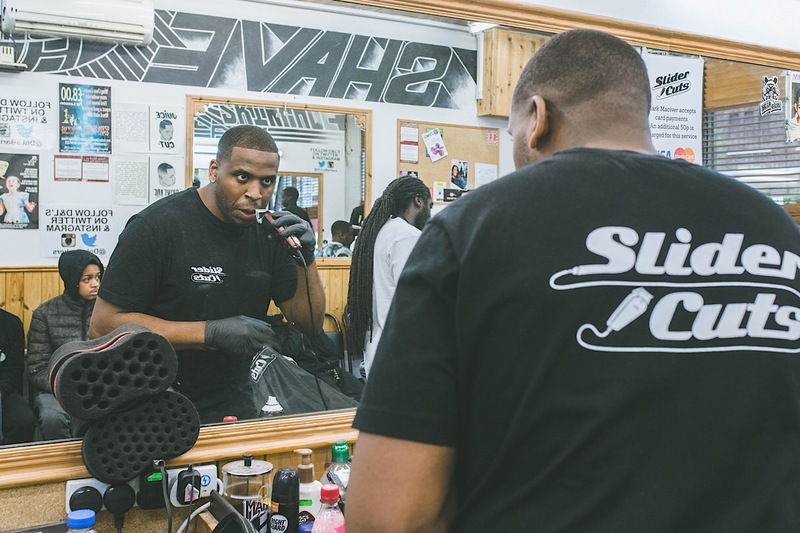 In the barbershop, I often ask people what they want out of life or what they’re trying to do, and a lot of them respond saying “I’m trying to get money” or “I want to be financially free”. Now I’m not saying there’s anything wrong with that, but I think that’s a goal short of an actual goal. You should never really be chasing money; money is just a mediator to your goal. The goal should be something like to buy a house or land, set up a company, look after your family, give your child piano lessons or pay your child’s tuition fee. Money will then be a mediator to the actual goal; a means to help you reach it. Saying you’re chasing money, or that money is your goal, is the same as someone who wants to build properties saying their goal is to get loads of bricks and cement. The bricks and cement is just part of the process in getting to the actual goal, and money is the same thing. People need to start thinking about what their actual goals are. Do you want to travel more? Do you want to buy more clothing? Do you want a bunch of toothbrushes? Whatever that goal is, just figure it out. The first step is to think about what it is you actually want out of life, what it is you want to do, and just write it down. Don’t watch what others are doing, just figure out what you want to do then start striving towards that. There’s so many different types of goals; big goals, small goals, short-term goals, long-term goals. A short-term goal might be wanting to go to the gym tomorrow, whereas a long-term goal might be wanting to lose 10 stones. A few years ago, I joined a running crew called Run Dem Crew and ran a half marathon. When I joined, I spoke with the owner, Charlie Dark, and explained my goals; I wanted to complete the half marathon and I wanted to do it in sub 2 hours. He said great we can help you do that, but he told me to go home and write down the reason I’m running. So I did. The next week I went back with my reason and he told me he didn’t want to see it, but that everyone is running for a reason. He said, you need to know the reason why you’re running because when things get hard and you hit the wall, which you will do, knowing the reason as to why you’re running will be the thing that keeps you going. And he was correct. There were times that I hit the wall and remembering the reason as to why I was running kept me going. This is what made me think about goals. Your goal is the destination you’re trying to get to, you are the vehicle, and the reason why you’re doing what you’re doing is the fuel that’ll get you there. These things all work together; the destination, the vehicle and the fuel. When I told my PA the topic of this post, she asked me about those who don’t know what their goals are, what do they do if they don’t know what they want out of life? I responded and said everybody wants something out of life. When people say they don’t know what they want, it’s often because they’re looking at what other people are doing and think they should be doing something like them. Your goals are your goals. You might want to have a family and look after your children. You might want to dedicate your life to helping people. There’s so much in this world you can do! You just have to take time to sit down with yourself and figure out what you enjoy doing and what you want out of life. Don’t look at career paths or anything like that, just think what is the subject of your life, or what do you want the subject of your life to be. I haven’t spoken about the journey to your goals, but I will do in another post. Check out my vlog on goals and let me know what you think! You are always in an interview, whether you realise it or not. Every interaction is part of the interview process; we are always “on” and we have to constantly remind ourselves of that. Quite often, the person we are when we’re in a private setting with our friends or family, is quite different to the person we are when we’re with new people in public. And, to a certain extent, that’s fine – our connections with our friends and family are going to be much stronger than with strangers or acquaintances. However, the person you believe you should be or the way you believe you should behave, when the right person is around, is the person you should be full stop. We have to become that person more generally, as that way it will be easier and more natural to act the “right” way towards the “right” person. It’s like that time-old question: who are you when no-one is watching? In fact, this is how I came to cut J Cole’s hair. I was doing a favour for my sister-in-law, who had asked me to cut a friend’s hair. Her friend, Eddie, came to the shop, he sat in my chair, and I treated him as I would any of my customers: with respect, politeness and great customer service. He left happy and with a clean shape-up. Fast-forward a couple of months… it’s Sunday. I’m in church and I see a couple of missed calls from Eddie. I step out to call him back and it turns out that he’s with J Cole, who’s in need of a haircut and couldn’t reach his barber. And who did Eddie think to call, me. Furthermore, in this age of social media, it’s even more important that you present yourself in the right manner. If you think no one is watching and you’ve got Facebook, Instagram or Twitter, then think again. If you’re putting “stuff” out there, that “stuff” is being watched. And equally, remember that you too are always interviewing someone else. Whether it’s a customer in your chair, the person sitting in your shop, or the guy or girl you went on a date with, life is an interview; present yourself well at all times. I recently had a conversation with someone I know who was in a job they felt unstable in. They weren’t sure if their boss was going to keep them on so they didn’t work to the best of their ability. But the reason why they were potentially going to be let go was because of their work ethic, and the fact they weren’t giving their best. They chose not to work as hard because they weren’t sure they were going to be kept on which led to them being let go in the end anyway. But if they had worked to the best of their ability in the first place, they may have been kept on. I told this person; what you need to do is not worry about what they want to do, just make yourself valuable. If you make yourself valuable, especially when it comes to business, you make yourself an asset. Even if your boss needs to make cuts because of budget cuts, you become the person they don’t want to let go of, because you’ve made yourself something of value to the business. Make yourself that person so they know that if they ever let go of you, it’s going to leave a hole in their business. Don’t just do the things you’re supposed to do or the things you’re “paid” to do. Go above and beyond your role. Make yourself an asset, because those are the people in life that we don’t want to get rid of. Stop looking at other people and deciding how you work based on decisions they may hold. Become the person they never want to let go of. And that goes for everything in life. Even in relationships – make yourself valuable in a relationship. Don’t have this attitude of I’m doing me, I’m doing what I like, because when you get cut nobody cares. And, furthermore, the grass becomes greener! So if you’re working a job with this “I don’t care” attitude, all that’s going to happen is they’re going to find someone else who does the job a lot better and be happy that they cut you. Make it the opposite so that if they cut you, they actually want to call you back because of how important you were, or are, to the business. Make yourself an asset, not a liability. You are representing yourself in everything you do so you should always represent yourself to the best of your ability. Do it so that people have good things to say about your work ethic and the things that you do. You don’t want it going around that you’re lazy or rude, or that you’re someone that cuts corners. When you’re working, work like God is your boss. If you’re working and your boss is in front of you, he or she would probably get the best out of you because you’re always on watch. See it as God is your boss and you’re always on watch and, I can guarantee you, fruit will grow from it. Make sure you leave a good impression everywhere you go. Make sure that, if anyone ever wants to cut you in life, it’ll be a very hard decision for them to make. Make yourself valuable! A lot of people like to discredit other people’s achievements. Maybe the word ‘discredit’ is too harsh. But, whether it’s talk-down, down-play or altogether refute somebody’s hard-work – the consistent work they’ve been putting in consistently for years on years. 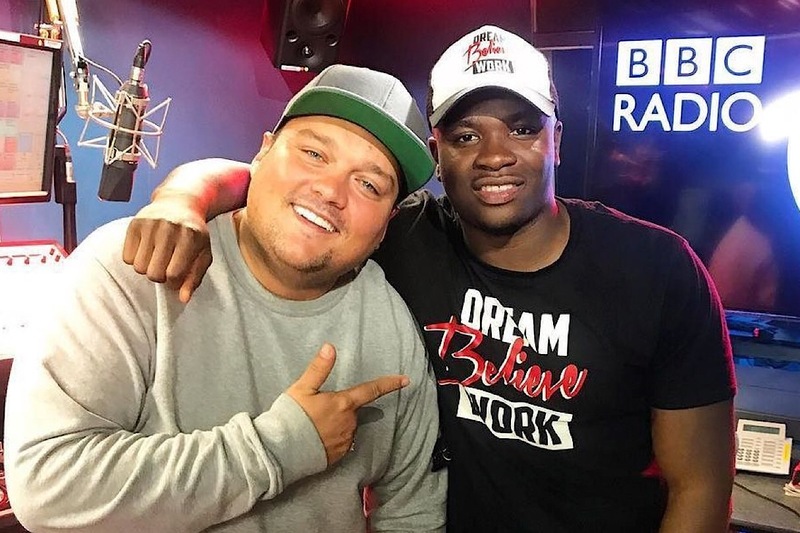 Take Michael Dapaah, aka Road Man Shaq or Big Shaq! Big Shaq is a character that was created and performed by comedian Michael Dapaah. Before this ‘so-called’ overnight success following his Fire in the Booth freestyle, Dapaah already had well over 200,000 followers on Insta and had hit a million views on one of his YouTube videos. This was no overnight success. To get to this platform – to the level of securing a Fire in the Booth feature with Charlie Sloth – isn’t easy. It was his hard work, commitment and dedication to his craft with all the sketches he had done, that put him on Charlie’s radar. A large community of us had got to know Michael Dapaah and the characters from his ‘Somewhere In London’ (SWIL) video series. Following the adventures of man like Big Shaq – Big Shaq fighting, Big Shaq in Spain, Big Shaq teaching us how to change a nappy – all these sketches and other characters in the series played a part in the personal journey to where Michael Dapaah is now. People may think it’s just a gimmick that sent him viral with the “man’s not hot” freestyled-chorus, but those same people need to recognise that the input, and the backlog of work that got him to this point, has far-outweighed the output of his success.. The characterisations, the storylines, the themes, the language, the style, the identities, and what he has created, is by no means a mistake but instead strategically planned out. It was well thought out and didn’t happen overnight. If you want to rate someone, look at the process and not the result and outcome of that process. Yes, the result should definitely by celebrated – 100. But people want to emulate the result, but do not realise that it is the process that we should be emulating in order to gain the result. Let’s take Usain Bolt – he wouldn’t just turn up to a race and expect to finish first. No. He would turn up and believe that he would finish first place because he knows the amount of work and effort he’d put into his training. He wasn’t an overnight success, and neither were most of the people who are successful, like: Michael Jackson, Thierry Henry, Lakwena Maciver and so many more. We need to respect the hard work that happens behind the scenes and understand that most of the hard work that goes into someone’s success happens in the dark where most people can’t see. 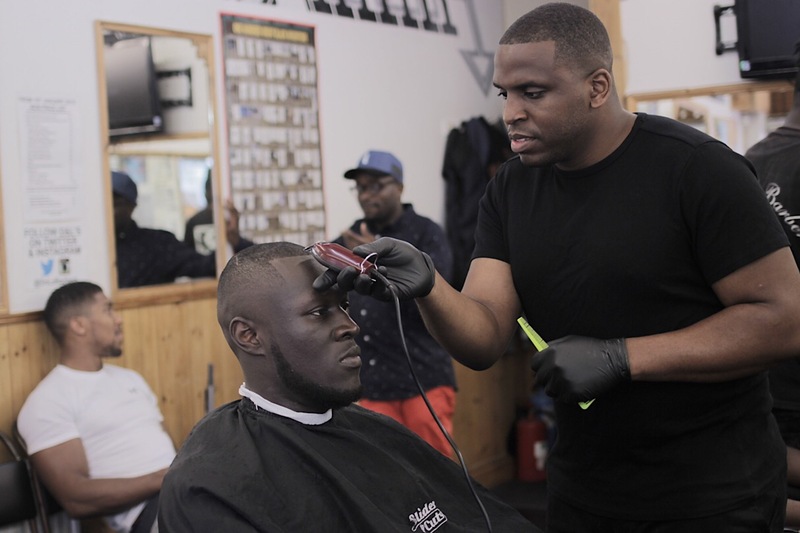 Even me as a barber, with the ability to now give someone a good haircut in half an hour – that wasn’t overnight. Without all the hard-grinding and piecing together the different parts of the puzzle, the final picture would not have been the same; in neither my case; nor Dapaah’s case; nor anyone else, for that matter. In conclusion, Michael Dapaah is far from a overnight success, he has worked hard, smart and put in the time to gain the success he has today. Let’s not neglect the process, let’s not ignore the creativity and talent, but let’s respect the work that people put in to do whatever it is they’re doing, and doing well. Big up man like Big Shaq. The Organic Mindset is the belief that everything must be done and achieved in an organic way. This mindset is a plague that has taken over our community and is hindering the progression, elevation and success of us as a whole. The organic mindset might work when we’re talking about the process of creating a product but, when it comes to putting that product out there, it has no place in business. I’ve come across so many people who are enslaved to this mindset, they almost feel guilty doing things outside of it. Even things as simple as paying for promotion. People seem to think that if they pay to promote their product or business, they are “buying” their success. So many people, especially within our community, are stuck in this idea of thinking that if we just put stuff out there we’ll automatically gain support and success, but that’s not how business works. How can you expect people to find out about, and support, your business if they can’t see it or don’t know about it? How can you expect to improve the sales of your product if people don’t know where to buy it? Promotion can help that! And often good promotion is promotion you have to pay for. Whenever I offer this advice to people, or advise them on other ways of putting their business out there, it’s often met with resistance which makes me question why we think this way. I know in myself I’ve felt that same awkwardness at times, and I’ve had to stop and ask myself why do I feel like this. I don’t know what it is or where it comes from, but this organic mindset is contributing to the failure of so many businesses in our society. When it comes to business, as a community, we are behind and my fear is that we’ll be stuck in this position if we don’t switch up our thought process. Check out my vlog on the subject and let me know what you think. Welcome to my first ever blog post! With this post, I wanted to give a brief overview of why I’ve decided to start a blog. For those who don’t know, I started cutting hair at just 14 years old, quickly becoming the go-to guy for my brothers, cousins and friends when they couldn’t get to the barbershop. 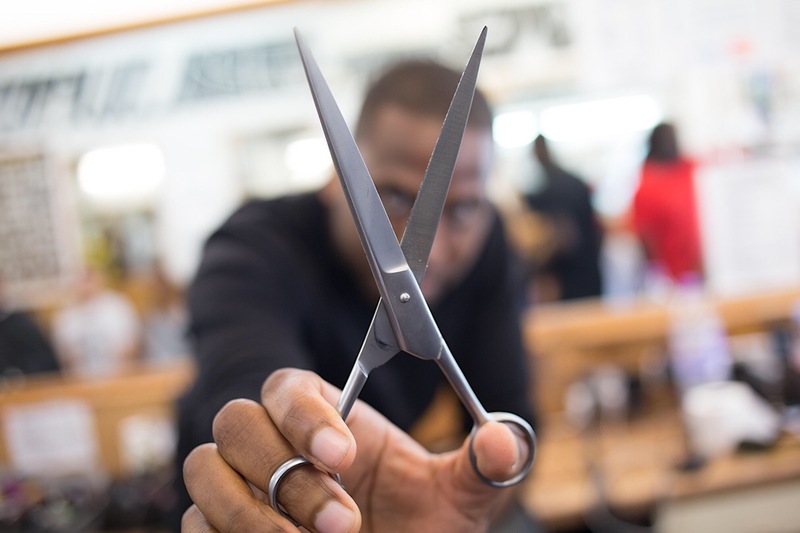 With over 18 years with the clippers in my hand, I’ve had the pleasure of cutting people from all walks of life including the local jerk man, Cengiz who runs a burger van, world-heavyweight champion boxer Anthony Joshua, restaurant entrepreneur Joe Faulkner, TV presenter Reggie Yates, my Mum and little brother Peter (who some may know as PMac Fitness), Rahman the estate agent, the 14-year-old school boy from down the road, as well as rappers Tinie Tempah and Stormzy and many more. 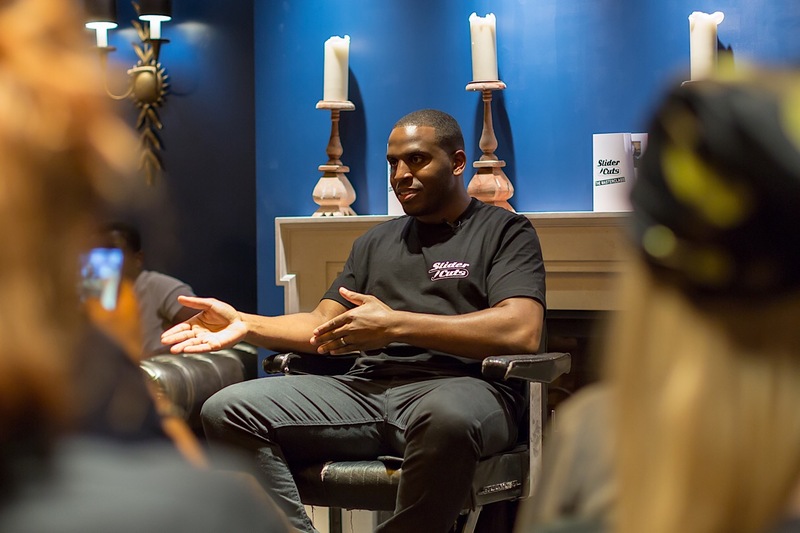 I’m often asked for advice when it comes to business and barbering, as well as my thoughts and opinions on different social issues. These things usually end up being discussed (or debated) in the barbershop, and sometimes leave me with more to say. This blog will be my reflection of these conversations, as well as some of my own thoughts and opinions outside of the barbershop. From barbering tips and business advice, to belief systems, the structure of society, and things happening in our community, this blog will be where I share my perspective on it all. Sometimes I’ll have the answers, other times I’ll just be exploring the question. Either way, I’ll be letting you into the world of SliderCuts as I try shape up the culture, one hairline at a time!